These ironing frames are best suited for white textiles. Please note the shop-FAQ! 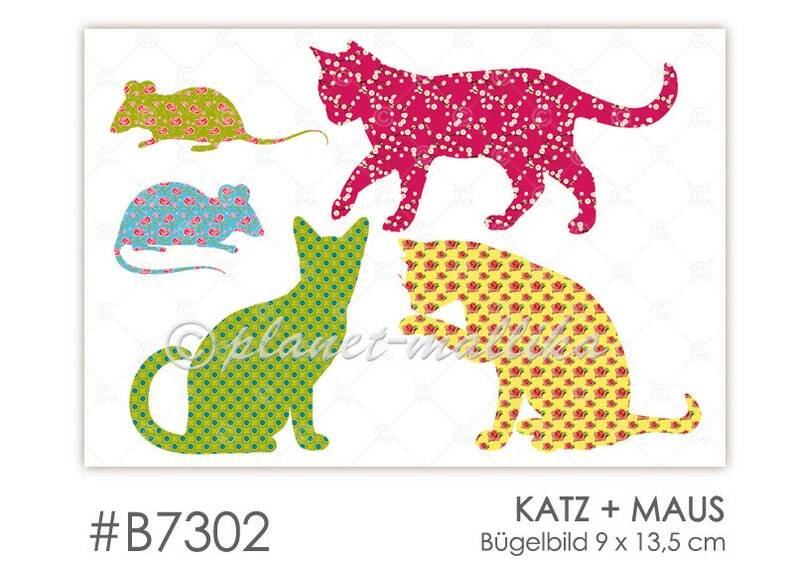 Size ironing: 4 Colorful cats and 2 mice on a DinA6 bow.